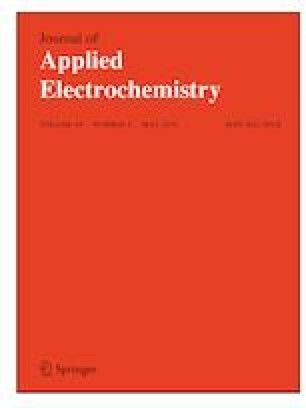 Conducting electroactive polymers are promising candidates for next-generation sodium-ion batteries due to their environmentally benign properties, high stability, and low cost. In this work, polyaniline (PANI) nanofibers have been successfully prepared by interfacial polymerization and characterized using Fourier transform infrared (FTIR) spectroscopy and scanning electron microscopy (SEM). The effect of initiator concentration and interfacial contact area on the yield and surface morphology of PANI nanofibers has been studied. The yield and nanofibrous structure of PANI are found to be directly proportional to the interfacial contact area and the concentration of initiator. PANI nanofibers prepared from 1 M ammonium persulfate (APS) in a container having highest interfacial area of 200 cm2 has the highest yield of 0.9 and uniform nanofibrous structure which is clear from SEM study. Preparation of PANI nanofibers and doping with sodium-ion salt is confirmed by FTIR spectroscopy. 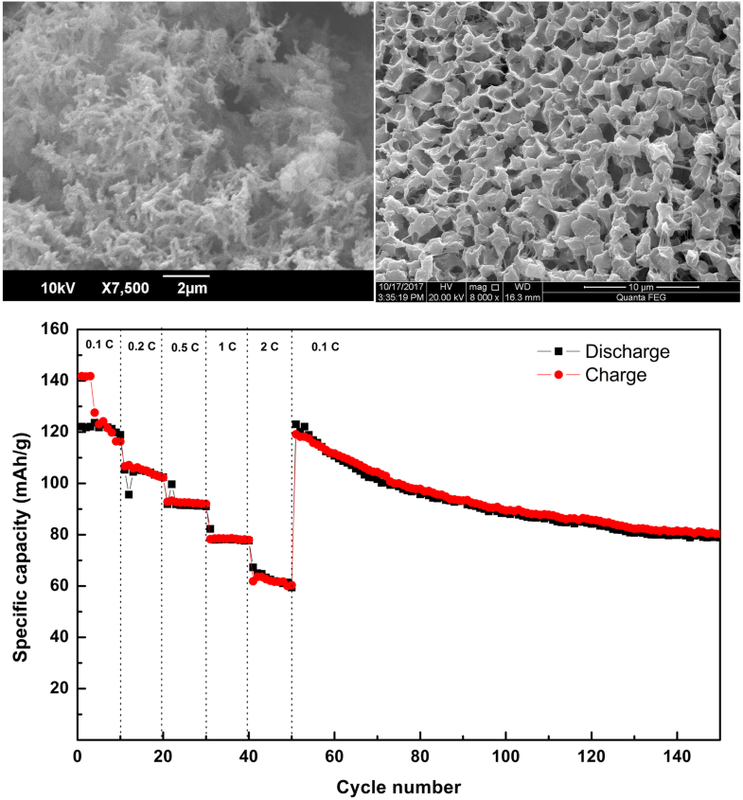 Sodium-ion battery prepared with doped PANI delivered a highest discharge capacity value of 112 mAh g−1 at 0.047 mA cm−2 during initial cycling. The rate capability tests indicated that after cycling at different C-rates, the cell regained its initial discharge capacity value of 123 mAh g−1 at 0.047 mA cm−2. We acknowledge Southern Company Services for financial support through the GRAPE Grant (#053967-01). Authors also would like to acknowledge Gregory Neher for his help during laboratory experiments.